Here is what our satisfied customers say! I just wanted to thank you again for the wonderful job you all did at our Thanksgiving meal. 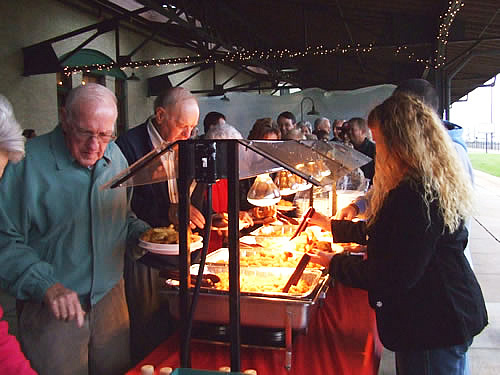 The employees loved the seafood buffet and many commented that it was the best meal they had ever had at this plant. We are very pleased with the quality, service and reasonable prices and are looking forward to seeing you again in January for our United Way meal. Earlier this week we had an HR meeting with all the plant and corporate Human Resources Managers. I gave our Vice President of HR your brochure and suggested he contact you to cater a future meeting so that all the HR managers could see what a great job you do. Please let me know the definite plans on possibly doing Rib-eyes for January or if we need to do roast beef to stay within our budget guidelines. 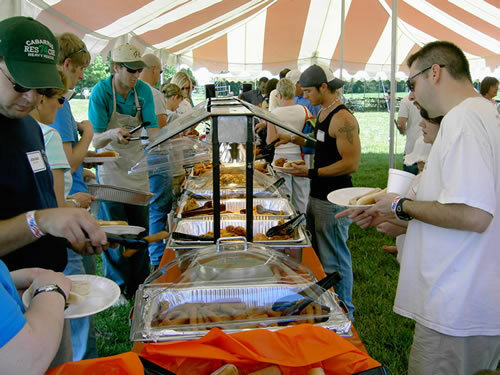 On behalf of our Company I would like to thank you for the outstanding job you did at the company picnic this past Saturday. It was a worry free day that turned out beautifully. Everyone has been commenting on what a great time they had and I have you to thank for that! When we get ready to plan our next event, you'll be the first one I call! 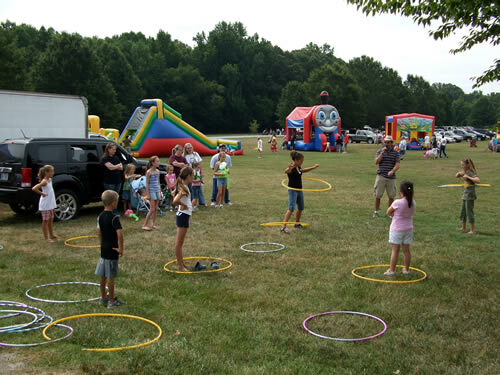 We would like to thank you and your staff for helping to make our Company Picnic a big success! We have received a lot of positive feedback from our employees. They were especially pleased with the excellent service and the delicious meal. It could not have run more smoothly. We hope that you will be available to work with us in the future. Thank you again from the members of the Quality Council. I just wanted you to know of the outstanding job your family has performed in helping make our plant meals a success. As always we can count on you to have everything needed on hand and our employees are always satisfied with the meals. The best part is you are always reliable and I do not have to worry about anything going wrong. With this level of service, you can be sure we'll call you for all our future meals. Thanks so much for providing the meal for our employees on Wednesday. Everyone had a good meal and a great time. Thanks again for all you do for us.